Taking an inventory of trees in a 668-acre park is as tedious as it seems. Every single tree must be logged for its type, age, height and width. Now try doing it day after scorching hot summer day in Lincoln, Nebraska. That's what 27-year-old Lisa Christensen and five other members of her team from the Nebraska Forest Service were enduring in August 1988. With her T-shirt and jeans sticking to her body, Lisa sought comfort in the shade of a Littleleaf Linden tree. At least, that's what her colleagues thought. It wasn't until she keeled over that they realized something else was happening. Lisa was in cardiac arrest. Her heart wasn't beating. Nobody is quite sure how long she was compromised before they came to her aid. Yet once they did, they knew exactly what to do. Amazingly, this entire group had undergone CPR training just a few weeks before. Jeff Culbertson was the star of the class and he was Lisa's closest friend on the team. So he jumped right in, giving her chest compressions and rescue breaths. 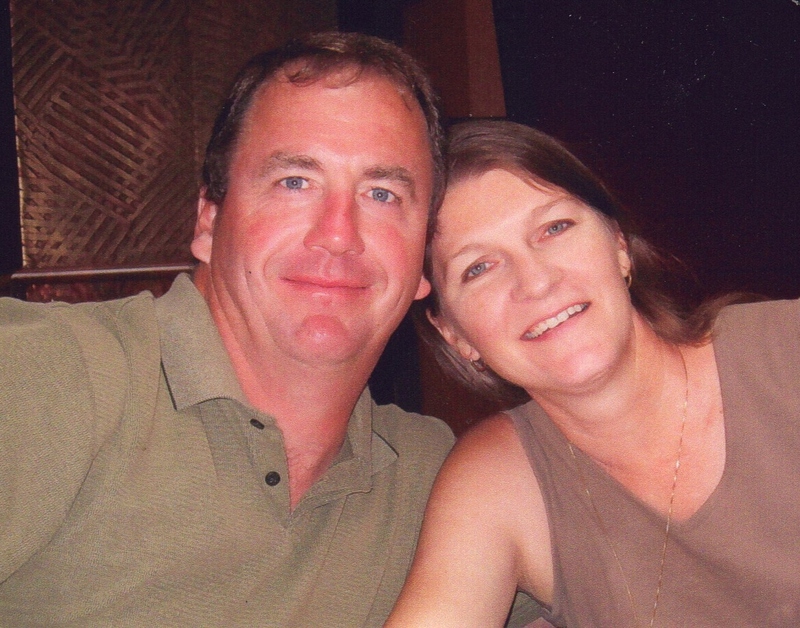 Jeff not only saved Lisa's life, his act forever changed both their lives ... and countless more. What happened to Lisa is far too common. Every year, more than 350,000 people experience cardiac arrest outside of a hospital. The fact Lisa survived is far too rare. In about 90 percent of those cases, the person in cardiac arrest dies, often because bystanders don't know how to start CPR or they are afraid of doing it wrong. Clearly, knowing CPR is important. It's also quite easy to learn. Push hard and fast in the center of the chest, preferably to the beat of the classic disco song, "Stayin' Alive," until help arrives. The American Heart Association helped pioneer CPR over 50 years ago, and continues to refine this lifesaving technique. As you can see by those "Hands-Only CPR" instructions, mouth-to-mouth breathing is no longer required. Every five years, we update the guidelines that are used to train millions of potential rescuers and are integrated into state and local emergency medical services protocols. The most recent update came in October. We also are working to encourage states to pass laws to train high school students in CPR before they graduate so we can have more potential lifesavers in our communities. Arizona recently became the 32nd state to do so. Another layer of our efforts is CPR and AED Awareness Week. It happens every June 1-7 by designation from Congress. This platform is a great opportunity to share stats and training tips. And to share inspirational stories like the tale of Lisa and Jeff. As of Aug. 18, 1988, Lisa and Jeff were purely pals. Lisa was in a long-term relationship with someone else. She also was Jeff's supervisor. Lisa was in her fifth year with forest service; longer, actually, as she'd been a part-timer for three years of college. Seeing as her bachelor's degree is in natural resources-range management, this was kind of a dream job. "I was helping design plantings for lakesides and wildlife," she said. "My job took me outdoors every day. I was very happy there." The assignment of taking inventory of all trees at Lincoln's Pioneer Park began early in the summer. Around late July, Lisa and crew peeled off for a day of CPR training at the University of Nebraska campus in Lincoln. Nobody really recalls why they did that. They're sure glad they did. On the fateful day, Lisa was 27 and in good health, with no family history of heart disease. While she could tell the difference between hundreds of types of trees, she had no idea of the difference between a heart attack and cardiac arrest. When her colleagues saw her passed out, they sprung into action. Especially Jeff, who single-handedly gave her CPR for about 30 minutes until paramedics arrived. "They said he was pushing me so hard he was bending me in half," Lisa said. "I'm sure that's what saved my life. He was doing really good CPR." A lack of blood to Lisa's brain -- perhaps triggered by how long before CPR began -- left her comatose for three days. She eventually lost about a month's worth of memory, including all details of what happened that day. Her recollections are built from what others have told her. Among her handful of memories is waking up from her coma and seeing her mom by her bed. "What are you doing here?" Lisa said. She then noticed her mom's red dress and said she liked it. Though the dress is no longer fashionable, her mom will never part with it. Doctors never determined the cause of Lisa's cardiac arrest. Yet they found enough irregular heartbeats to determine she needed an implantable cardioverter defibrillator (ICD). She's gotten a new one about every four years, including this spring. After her cardiac arrest and coma, she was hospitalized for about a month. Full recovery took much longer. "It took about a year to get back to thinking real clearly," she said. "I was kind of stuck, just living in a farmhouse, walking my dogs every day." Over that year, her job with the Forest Service ended. So did her long-term relationship. Eventually, she filled those voids. With upgrades. In the summer of 1989, Lisa was living with her parents outside of Omaha. She decided to start a landscaping company and asked a guy to start the business with her. When he said no, she asked another guy. Frontier Landscaping Plus Incorporated brought them closer together. The work, however, proved less satisfying than Lisa expected. "That's when I thought about going to nursing school," she said. "I was inspired by nurses who had taken care of me." Lisa has been a Registered Nurse for 20 years at Madonna Rehabilitation Hospital. She has an office job now on the ventilator assist unit, but worked on a rehab unit for 10 years. Her specialty? Patients who suffered traumatic brain injuries, such as the memory loss she endured. "It's hard dealing with someone who doesn't remember. People get impatient," she said. "I know that I was repetitively asking, `Why am I here?' So I could really relate to those patients." Lisa also spoke to defibrillator patients. She even started a support group for them. Her tale of having two kids since receiving her device always reassured people. Lisa and Jeff married on Sept. 1, 1991. Their oldest son, Trevor, just graduated with a degree in environmental economics from the University of Nebraska's main campus in Lincoln. Their youngest, Lucas, is a freshman there. Jeff is at the school, too. He eventually gave up the landscaping business to become the school's assistant director of landscape services. He also has a spot on "Backyard Farmer," a show that's aired since 1953, making it among the longest running on public television. And he has another role: CPR trainer. Littleleaf Linden trees aren't very common. Yet when Lisa and Jeff went house shopping, they found one in a back yard. They ended up buying that house. As for the Littleleaf Linden where their lives irrevocably intersected, they go back there every so often, especially around August 18. "It's not easy to get to, but we've been there enough that our kids know how to find it," she said. "It's a very special place." Lisa and Jeff are proud of their story and proud to use it to help others. After all, there's no more precious skill a person can learn that the ability to save a life. "You might be helping save a stranger, but you might potentially save someone you do know," she said. "Even if it is a stranger to you, that's someone else's loved one. Think of the gift you're giving them."